The magician says he would like to do an experiment in order to test the spectator's memory. 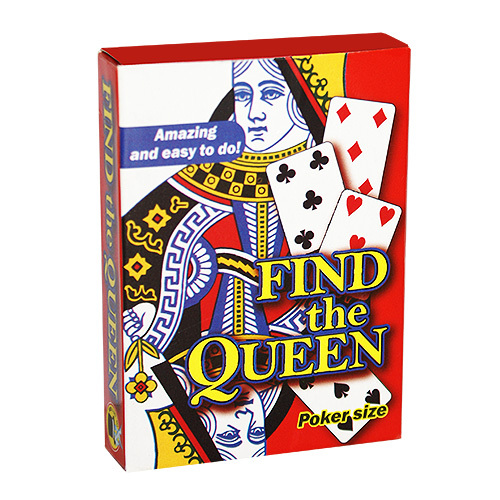 He shows four Queens and puts them one at a time face down on the table. The spectators must try and find the Queen oh hearts. Not only they will fail, but when they will turn over the four cards on the table, the Queens will have magically transformed into 4 fives! - Great attention to detail has been given in the creation of these poker size cards.